Russia launched a Proton-M rocket carrying three GLONASS-M satellites from the Baikonur space center at November 4 after a 24-hour delay due to technical reasons, a spokesman for the Federal Space Agency Roscosmos said. This was first launch of a Proton-M rocket with GLONASS satellites from Baikonur since a failed attempt last December. That led to the dismissal of several top officials in the space agency and industry and the appointment of Vladimir Popovkin to head the space agency. 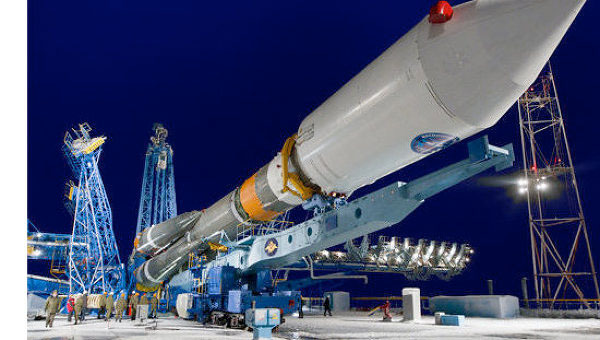 According to the Russian state information agency RIANovosti, a fourth GLONASS-M will be placed into orbit by a Soyuz 2.1b launch vehicle at the end of November from the Plesetsk space center north of Moscow. Other news reports placed the date as November 22. The satellite has been delivered to Plesetsk to undergo pre-launch procedures. As Inside GNSS went to press, the Russian constellation had 23 operational satelltes in orbit: eight each in planes 2 and 3 and seven in plane 1 where an eighth spacecraft—the prototype next-generation K-model launched on February 11—is undergoing flight tests. A GLONASS-M launched October 2 and located in plane 1, slot 4, was activated on October 25. The constellation has a spare satellite in plane 2, as well as two space vehicles (SV), one each in planes 1 and 3 that still included in the constellation almanac in "maintenance" status. However, those have been out of service for more than two years and may not return. In an October 28 statement published on the Roscosmos website, the Russian General Staff said that it expects the accuracy of GLONASS to reach parity with that of GPS by 2015. According to RIANovosti, Roscosmos head Vladimir Popovkin says that Russia will increase the number of operational satellites in the GLONASS constellation to 30. Meanwhile, according to an October 16 Izvestia news article, Roscosmos is proposing a 330.5 billion ruble (US$10.9 billion) budget for GLONASS in the 2012-20 time frame, compared to the 116.9 billion rubes ($10.85 billion) spent on the system since former President Vladimir Putin reactivated the program in 2001. The Russian GNSS system got a promotional boost with release of the new Apple iPhone 4S earlier this month that can process GLONASS signals as well as GPS. Reportedly, the Qualcomm MDM6610 chipset is used in the new phone. chipmakers Amsung Electronics Co. Ltd. and Texas Instruments Inc. have also indicated they will bring out chipsets for smartphones that incorporate GLONASS capability.